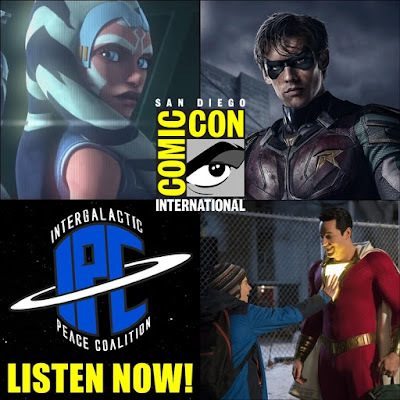 On this episode Zac and Ben take on breaking down all the exciting trailers and announcements released at San Diego Comic Con 2018! They dive into the good, the bad and the weird Comic Con's offering including trailers for Aquaman, Shazam!, Titans, Arrow, Supergirl and more from DC. The guys also discuss the epic previews for Godzilla: King Of Monsters, Fantastic Beasts: The Crimes Of Grindelwald, Doctor Who: season 11, and more. Also listen for more talk about the upcoming seventh season of The Clone Wars and the exciting trailer that announced it. This is an episode you don't want to miss!